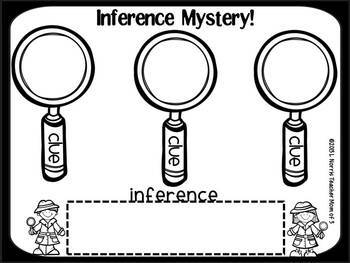 Be an inference investigator! 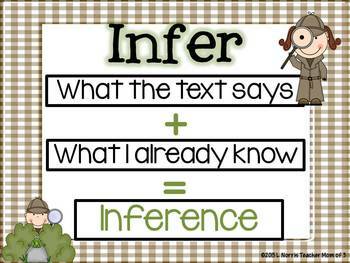 This mini-unit is designed to introduce or review the reading comprehension strategy of inferring in a fun way! Appropriate for first and second grades. 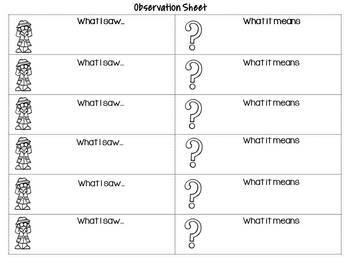 -(2) graphic organizers to use with the wordless picture book - Pancakes for Breakfast by Tomie DePaola. -(2) page handout to use with the book Young Cam Jansen and the Missing Cookie by David Adler. 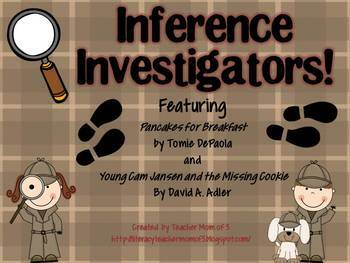 Note: Although this packet contains several generic graphic organizers, you will want to have at least one copy of the texts Pancakes for Breakfast and Cam Jansen and the Case of the Missing Cookie.